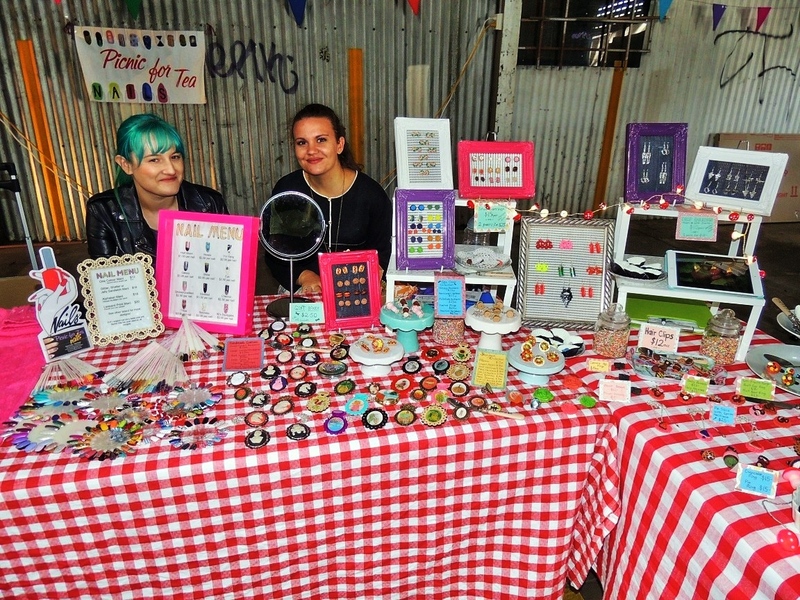 The Flinders Street Market in Adelaide's CBD is the newest in a growing list of undercover markets in Adelaide. Located east of Frome Street, the market is a little off the beaten track, but remains conveniently close to the bustle of Rundle Mall, the trendy shopping/eating district on Hutt Street, and an easy walk from the popular Market Shed on Holland. The undercover markets aims to be classy and distinctive, offering unique goods including bohemian clothing, artisan jewellery, eco friendly products, and bric a brac shops. Stall holders will rotate each week, helping to keep the feel fresh and vibrant. They seem to have hit the right mix as it was surprisingly busy for such a new place when I visited, with lots of families and couples passing through. For me one of the attractions of a market is the unexpected variety of things that you can find, and the Flinders Street Market did not disappoint. While boutique clothing, works of art and jewellery, and kitchen wares were all available, there were other things that were more unusual. 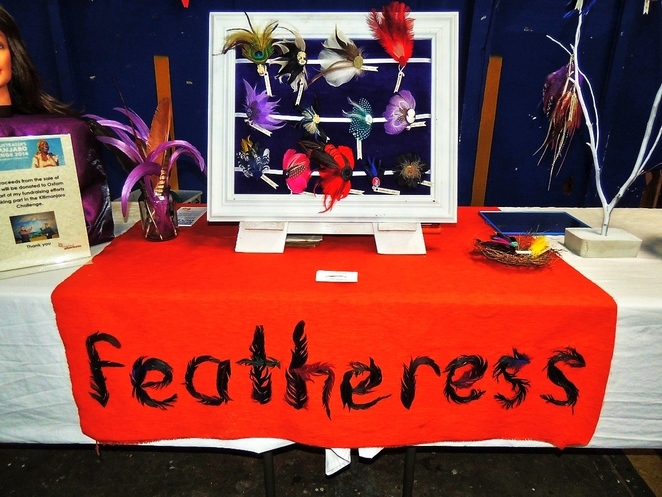 The Featheress stall selling colourful feather earrings and head pieces was one, supporting the Oxfam Kilimanjaro charity challenge. 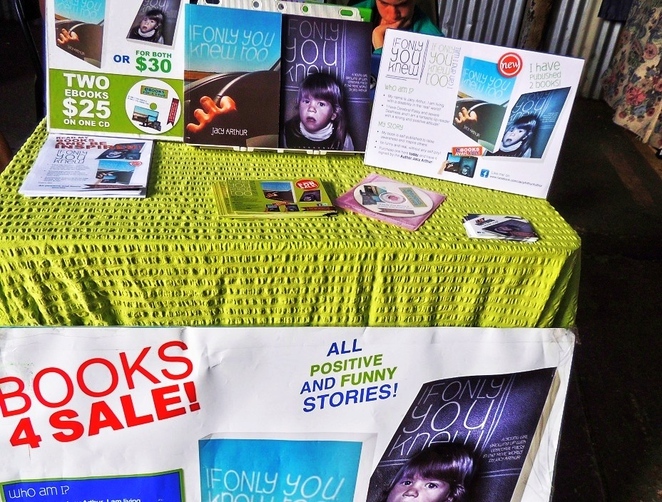 Another stall sold inspirational books (also available as e-books) by Jacy Arthur, a deaf cerebral palsy sufferer - the first time I have them at a market in Adelaide. Our four footed furry friends were not forgotten, with liver treats available for dogs and cats. 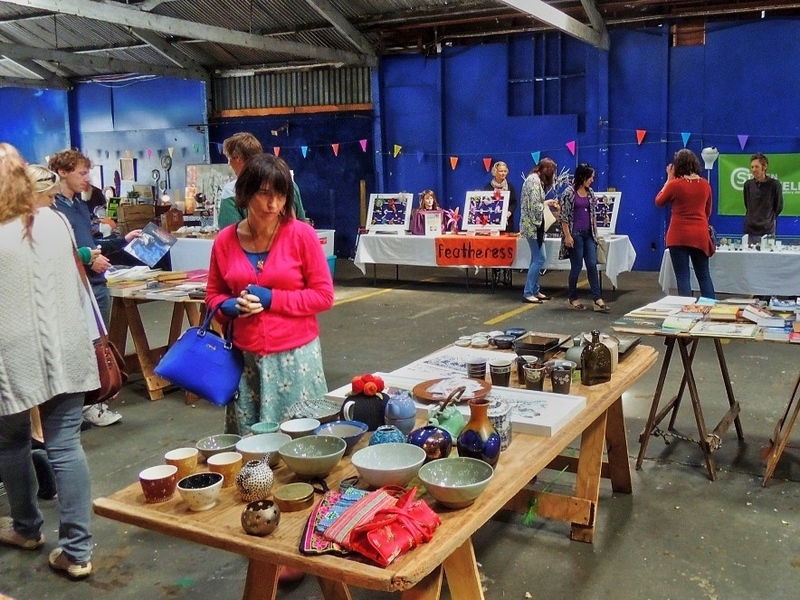 Probably my favourite stalls were the bric a brac shops at the rear, where there were an enormous variety of things to be found. An old metal Jasol fly spray pump sat in a box with Edison cylinder records. 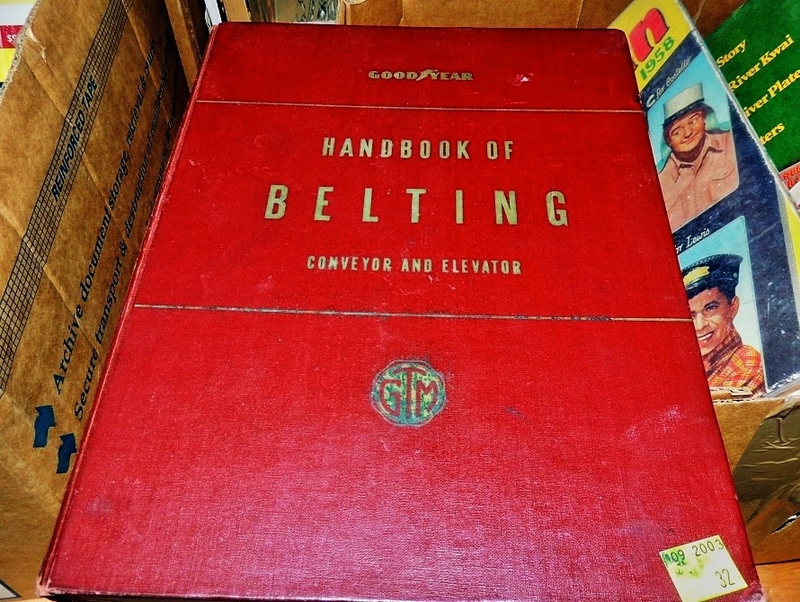 A box of 50's and 60's magazines contained old issues of Pix, People, and car magazines, while the Handbook of Belting would make the perfect present for a retired school principal. 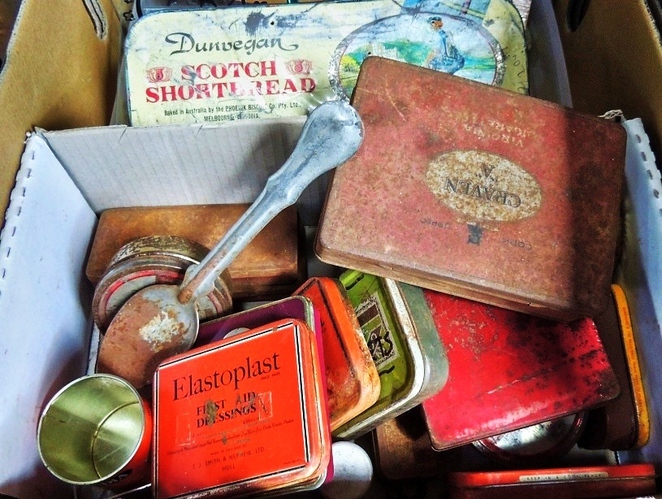 Other boxes contained old tins - from Elastoplast to Scotch Shortbread, and Craven A cigarettes to Old Holborn tobacco. I hurried from one table to another in search of something to take home, but managed to curb my spending this time. Unlike the successful Market Shed on Holland which specialises in organic foods and casual weekend dining, the Flinders Street Market had only one stall selling mostly Middle Eastern food (I enjoyed a yiros for $6.50), although plans are afoot to have food trucks visit too. Coffee fans are spoilt with the choice of Spanish, French, Kenyan Pearl, Nicaraguan, and Ethiopian coffees at $3.50, with only eco friendly products being sold. 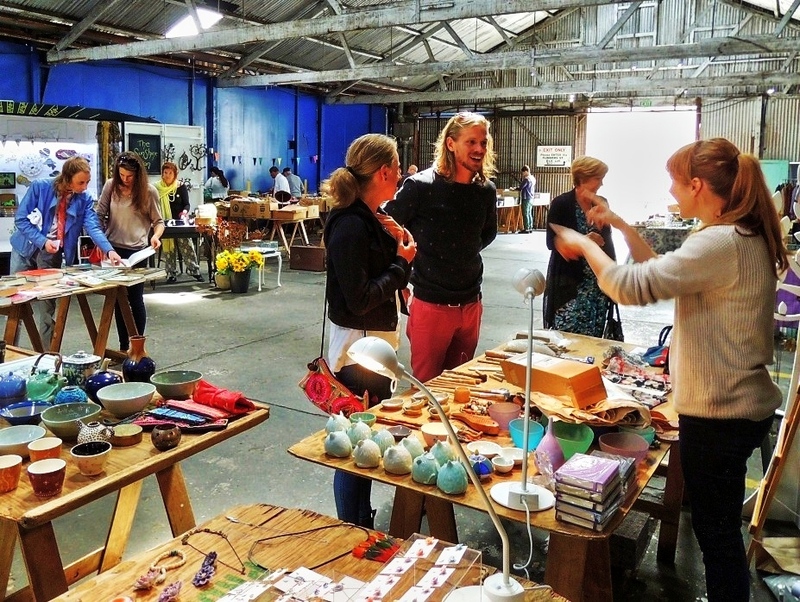 The Flinders Street Market is open on both Saturday and Sunday each weekend, and with autumn coming undercover markets are definite attraction. 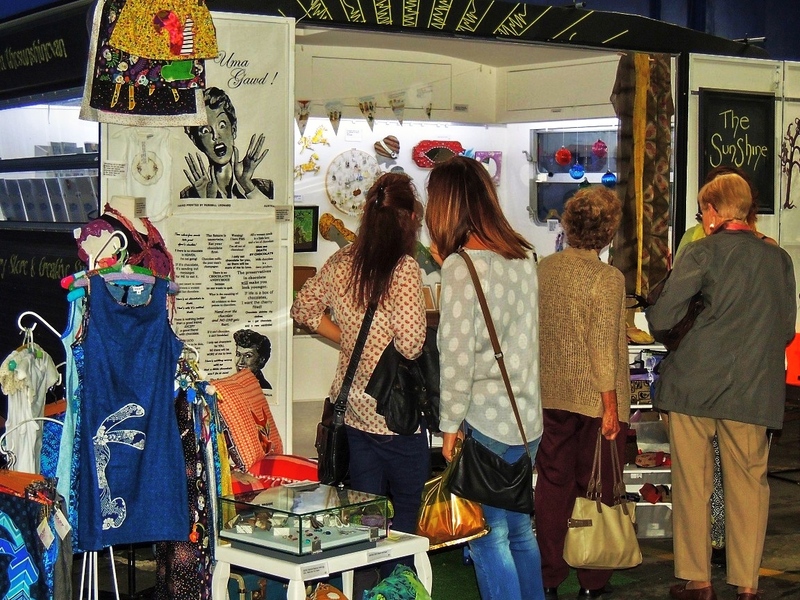 If you are looking for artisan jewellery, bohemian clothing, or something unusual or special in the bric a brac shops, then give it a try. As with most places in Adelaide, parking is a bit hit or miss - there is off street parking next door at $2.50 for half an hour, but I managed to find free parking after circling the block. For more information about the market, check out their Facebook page here. Great photos and most informative. Would like to know the cost to sell at Flinders st market ?